Ran out of cheddar cheese so I tried Cream Cheese and my little Bo-Boo leg Buddy likes it. She’s got a hurt back leg and has become weak but I’m feeding here extra good so she will get stronger. I don’t know is she is the one with the babies under the back of the house but by the dust on her forehead she’s living under there too. I don’t know if she has a broke leg or foot but I can see that it’s swollen. She lifts her leg while walking. When skunks are eating they lay down to eat at least they do here. It’s real cute watching them eat the cats food. The raccoons and foxes come for the cat food also. Such a cute ferret face. No skunk don’t go around spraying everything in sight. They will only spray you if you try to eat them or hurt them. Most of the time they just stomp their front feet to get your attention. It just amazes me how good all the wildlife get along with each other. They get a little possessive over their food but if there is enough they don’t fight. I may have six skunks and six raccoons on the small front porch at the same time. The skunks can be in contacted with each other and then they might do some pushing. I noticed the raccoons will just push them out of the way. They put their little hands on their back which causes them to back up. 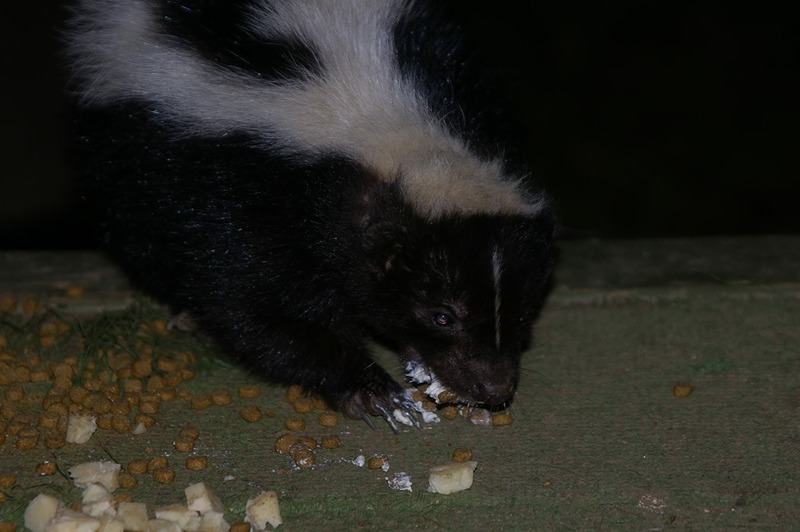 Skunks are built like a wedge and backing up is their best strengths to get food away from another animal. They like getting petted on their sides and don’t like a hand over the top of them. You can tell a skunk is relaxed because their tail will be down unless it’s snow there or it’s wet. I’ve been trying to get her where her foot heals but I don’t know if it needs to be set or something. I’m hoping it’s just a sprain or something minor. 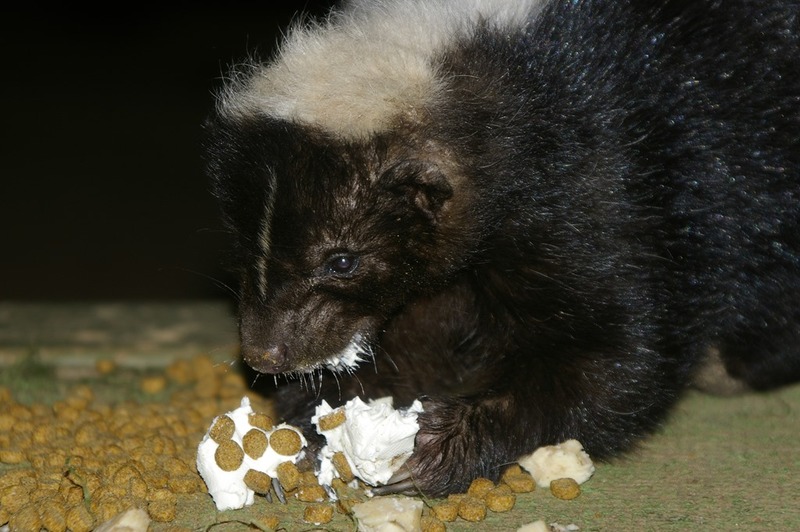 This entry was posted in Nature and tagged Bo-Boo Leg, Little Buddy, Skunk. Bookmark the permalink.